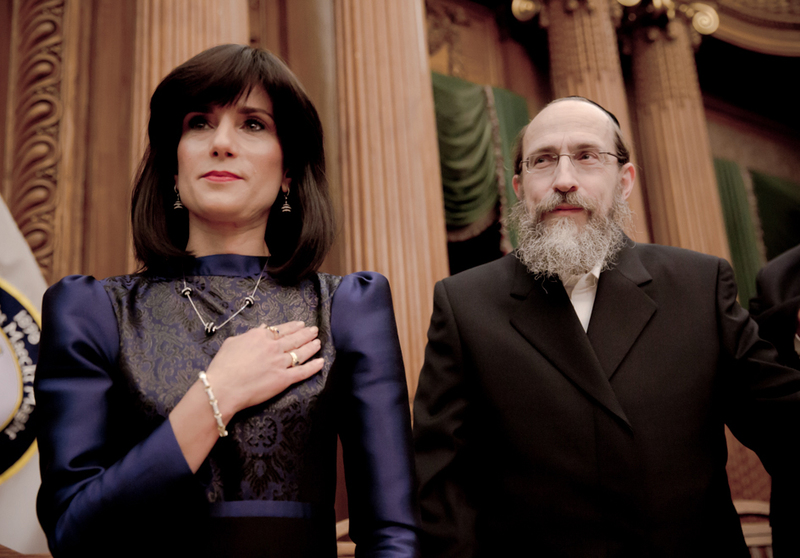 93QUEEN follows RACHEL “RUCHIE” FREIER, a no-nonsense Hasidic lawyer and mother of six who is determined to shake up the “boys club” in her Hasidic community by creating Ezras Nashim, the first all-female EMT corps in NYC. 93QUEEN is set in the Hasidic enclave of Borough Park, Brooklyn, where EMT corps have long been the province of men. Though the neighborhood is home to the largest volunteer ambulance corps in the world (known as Hatzolah), that organization has steadfastly banned women from its ranks. Now Ruchie and an engaging cast of dogged Hasidic women are risking their reputations – and, literally, the futures of their children – by taking matters into their own hands to provide dignified medical care to the Hasidic women and girls of Borough Park. Paula Eiselt is a NYC-based independent filmmaker whose work has been supported by the Sundance Institute; ITVS; IFP; the New York State Council on the Arts (NYSCA); the International Documentary Association (IDA); Women Make Movies (WMM) and the Hartley Film Foundation. Eiselt was also a 2016 IFP Documentary Lab Fellow. Her film 93QUEEN won the inaugural firstlook Pitch Prize at the 2017 Hot Docs Forum. A graduate of NYU's Tisch School of the Arts, Eiselt's filmmaking journey began on a spring day in 10th grade when she skipped class at her Orthodox Jewish high school to rent Darren Aronofsky's Requiem for a Dream, which inspired her to become a filmmaker and led to her securing an internship with Mr. Aronofsky. Prior to directing her own feature-length films, Eiselt served as researcher for The Undocumented (Independent Lens); and as AP for Bronx Princess (POV). Additional directing credits include short films Priscilla (NY Newfilmmaker Series at Anthology Film Archive); My Mom the Dead Head (Cannes Film Festival's Short Film Corner) and The Fitting Room (NY Jewish Student Short Film Festival). In addition to her feature docs, Eiselt is developing a New York Times Op-Doc on Jewish identity in collaboration with the team behind the In Conversation on Race series. Eiselt lives in Queens with her husband, two young curious sons and a sassy daughter. "Forget Supergirl and Wonder Woman. To see a real female superhero in action, check out Paula Eiselt's documentary."